God inspired holy writers to record His Word in the Bible, which makes the Bible without error and perfect for clearly proclaiming all we need for salvation. In another sense, however, God’s Word is not limited to the Word of the Bible. 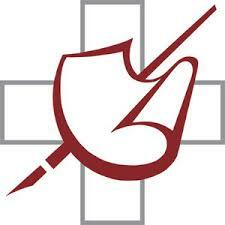 Pastors who faithfully preach from the Bible provide a living voice of Jesus for His people still today. Through such reading of His Word and preaching, God creates faith when and where He chooses in those who hear the Gospel. (Romans 10 traces out well the sending of preachers for the end result of us hearing, believing, and being saved.) 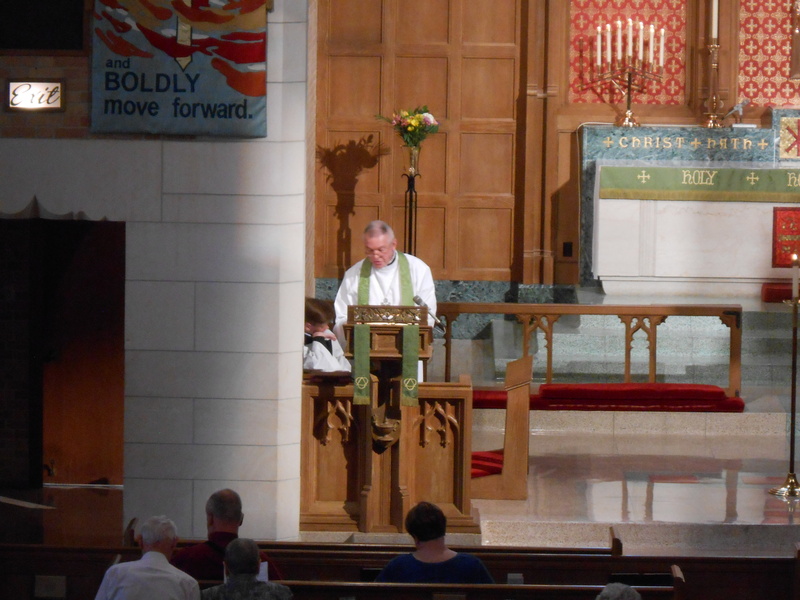 Thus, every worship service at St. Paul features at least the reading of Holy Scripture, if not also an homily or sermon based on it. Baptism is regarded as the entrance Sacrament, as it replaced Old Testament circumcision as the entrance rite into the Kingdom of God (Colossians 2:11-12). Through Baptism God brings about the salvation of the person baptized who, regardless of age, by faith receives the forgiveness of sins, rescue from death and the devil, and eternal salvation. 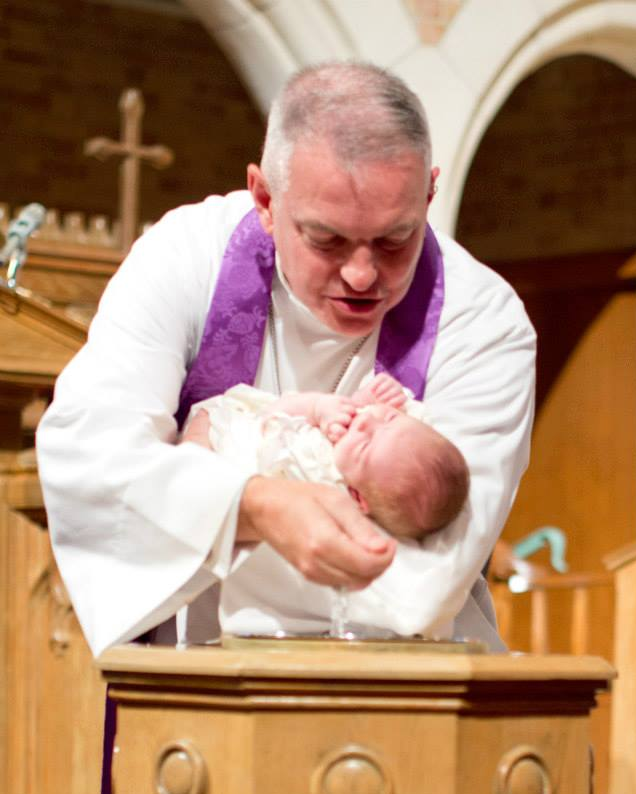 Baptism connects us to Christ, alive with Him, and makes us God’s children. (Various Bible passages speak of Baptism, such as Titus 3:5.) 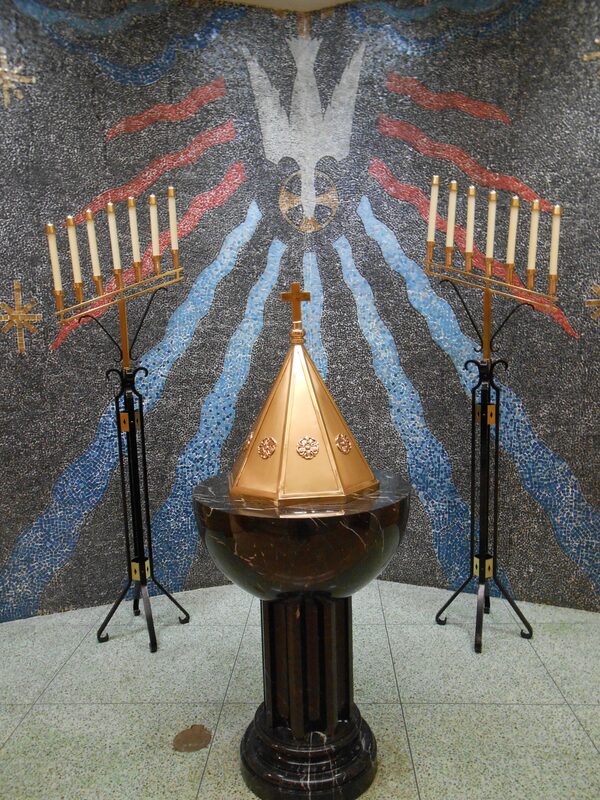 Newborn babies of St. Paul families and any others desiring Baptism may seek it out at St. Paul. 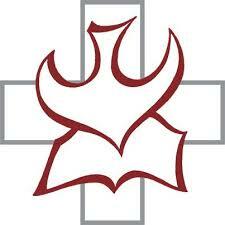 The ongoing and repeated Sacrament Lutherans practice is the Lord’s Supper, also called “the Sacrament of the Altar”. The true body and blood of Jesus Christ is really, physically present in, with, and under the bread and wine in this holy meal. 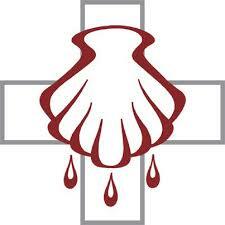 The body and blood are so given in the bread and wine for the forgiveness of sins, life, and salvation. (Jesus’s own words are clear, as in Matthew 26:27-28.) 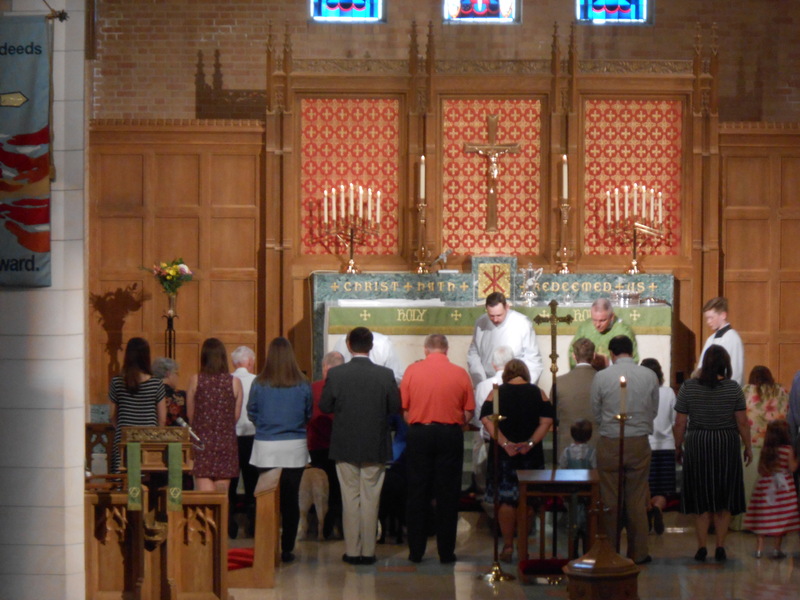 So important is this gift that every Divine Service at St. Paul offers the Sacrament of the Altar to those who have been instructed, examined, and absolved. Holy Communion is a visible means by which our Lord Jesus Christ forgives our sins and strengthens our faith through our reception of His true body and blood in mystical union with the bread and wine. Participation in the Holy Communion or Lord’s Supper is a confession that you share our beliefs that Jesus Christ is the only way you can be saved from your sins and receive eternal life, that forgiveness of sins is received in this Sacrament of the Altar, and that our Lord’s body and blood are truly and physically present. When we commune together at Christ’s Altar we all renounce any contrary teachings or practices regarding the nature and benefits of this Holy Supper. 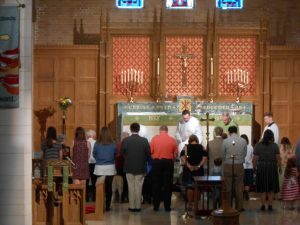 Baptized and confirmed members of Lutheran Church-Missouri Synod congregations and those with whom we share altar fellowship have publicly confessed these beliefs. 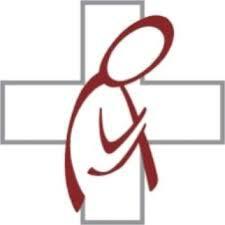 Out of love and concern for your spiritual welfare, and not a desire to be exclusionary, we ask that those who do not yet share this understanding and confession of the Sacrament refrain from communing until they have been instructed in our beliefs regarding this Sacrament, and brought into fellowship with us. If a worshipper should not yet commune with us but wishes to receive a blessing, he or she is invited to come forward and kneel at the rail, with arms folded and hands on opposite shoulders. 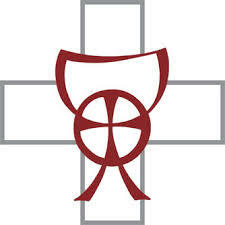 In keeping with the historic practice of the Christian Church and the Lutheran Confessions, Holy Communion is celebrated at both services every Sunday of the month, as well as on significant feasts and commemorations of the Christian Church’s liturgical calendar. People often ask why the Word and Sacraments are so important if Christ has already won forgiveness and salvation for us on the cross and gives us those gifts by grace through faith. The answer is simple: the preaching of His Word, Baptism, Absolution, and the Supper are the ways that He distributes those gifts in order to bless those who are willing to receive them in faith. 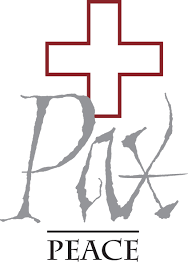 We cannot go to the literal cross some 2,000 years ago, but we can come here and now to find Christ where He promises to be—in His Word and Sacraments.